Visiting Ecuador? We’ve got you covered! 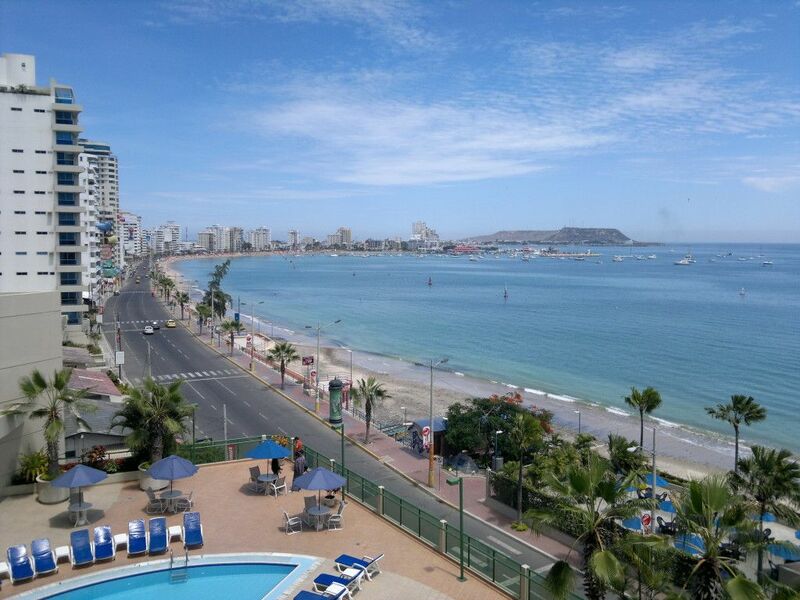 After sifting through all Ecuador beaches, we’ve found the top spots for you. 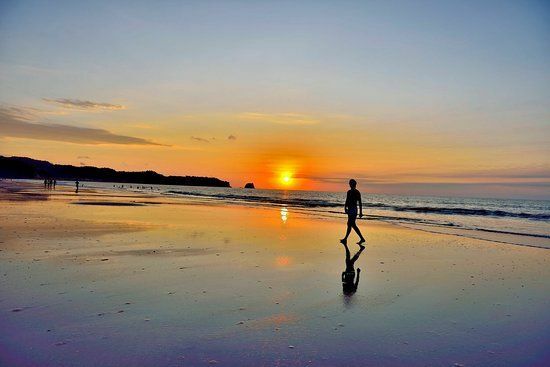 So whether you’re a nature lover, beach lounger, or a looking for a great party, don’t sweat it- your dream Ecuador beaches await! 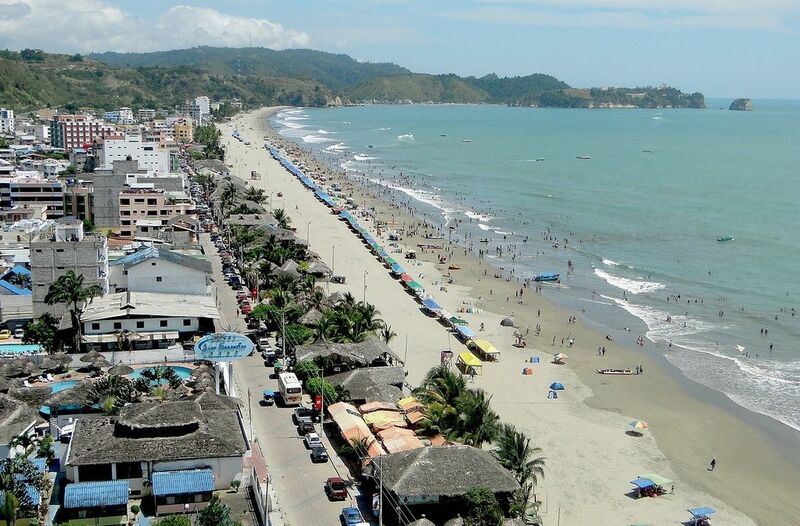 For people looking for an action-packed experience, Salinas, in Santa Elena is one of the most popular Ecuador beaches. Large buildings line the coast where you’ll find a multitude of shopping centres, dining options, and high-end yacht clubs. 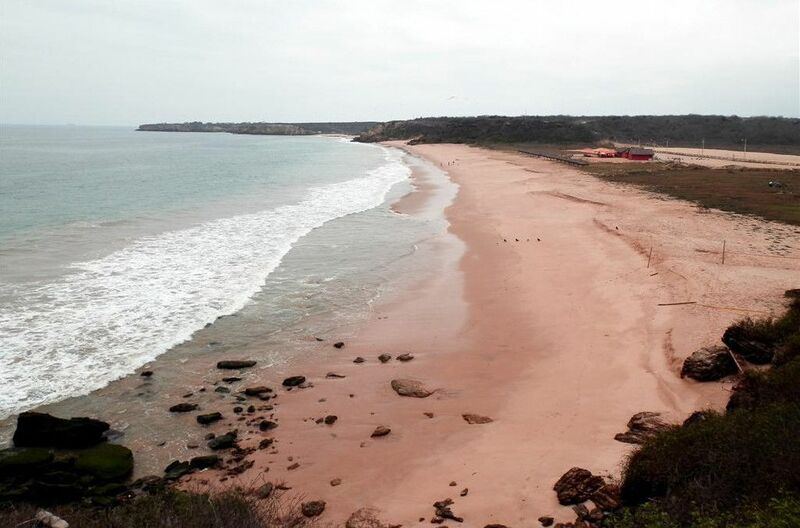 A relatively calm beach, Ballentina in Santa Elena is backed by a large cliff. The main attraction is the Farallon Dillon, which is a quirky hotel-museum-restaurant combo that showcases the local spirit. 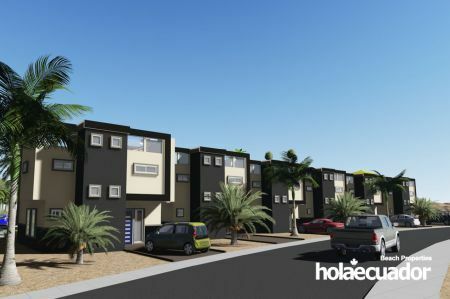 The beach is a good place to lounge and swim, and although it is home to many working-class Ecuadorians, a smattering of more upscale homes indicates that this might be a new up-and-coming spot. 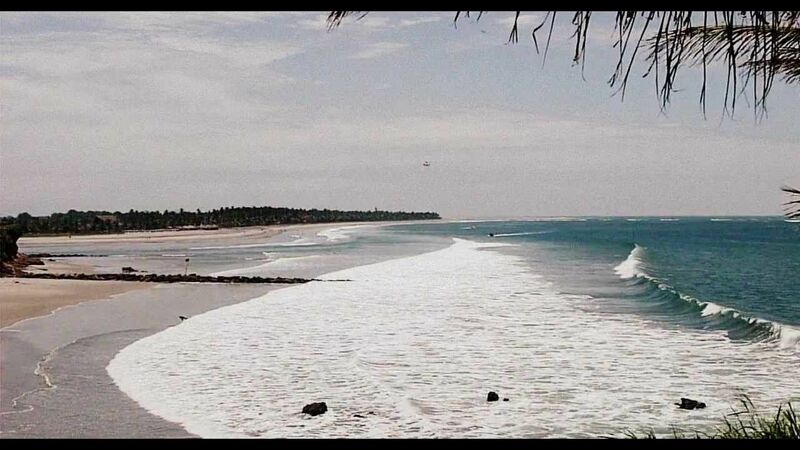 Among Ecuador beaches, the beautiful Montañita in Santa Elena is arguably Ecuador’s most popular spot. Why? Hint: it is also best known as Party Central. Also, many would argue that it boasts the best and widest array of food in Ecuador. Not huge, it has a peaceful vibe while still being action-packed! Surfers, if you’re looking for a good spot, the waves in Montañita are definitely worth checking out. Quite a different experience from Ecuador’s other beaches, Ayangue is a picturesque circular harbor with a white, sandy beach. 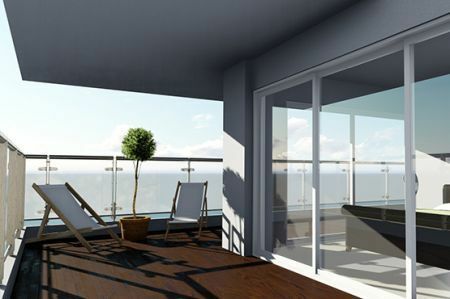 It is a perfect place to relax, read a book, and truly bask in the beauty of your surroundings, free of distractions. You can watch the local fishermen come back every evening with their catch and go to the local eateries to enjoy the fresh bounty of the sea. 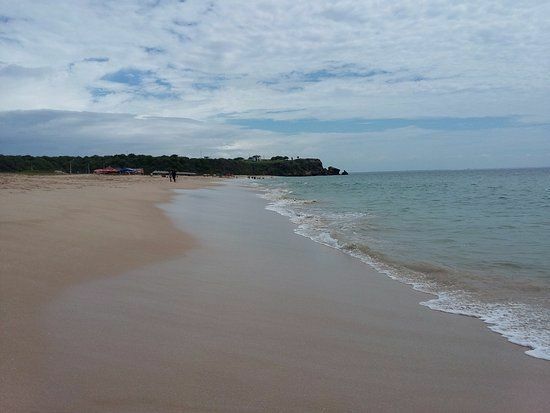 If you are looking for the proverbial “long walk on the beach” with your loved one, Playa Rosada just might be the place for you. It is virtually empty, making it the perfect spot to feel like there’s just the two of you in the world. Puerto López beach is famous for viewing humpback whales during mating season, if courting of the whale variety is something you’re into! There is a smattering of cute and rustic tourist cabins near the beach, and so this may be your perfect escape into nature. 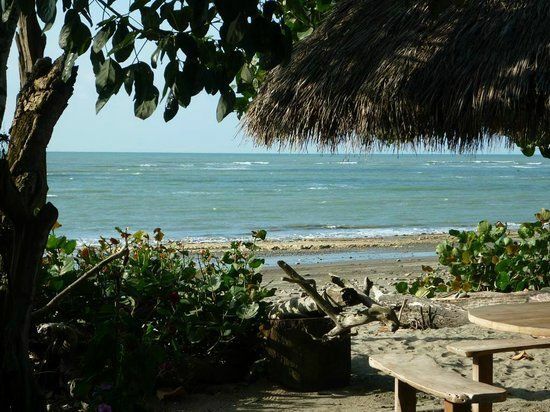 Los Frailes, located in Machililia National Park is the perfect place for nature aficionados! 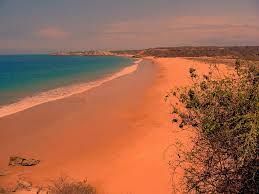 Amongst all Ecuador beaches, Los Frailes is the epitome of serenity, as there is no overnight camping or restaurants. You can spend the day enjoying forest trails, a lookout with panoramic views of the ocean, a white sandy beach, and, best of all, peace and quiet! This beach is primarily frequented by surfers, as it has some of the most reliably amazing waves in the country! 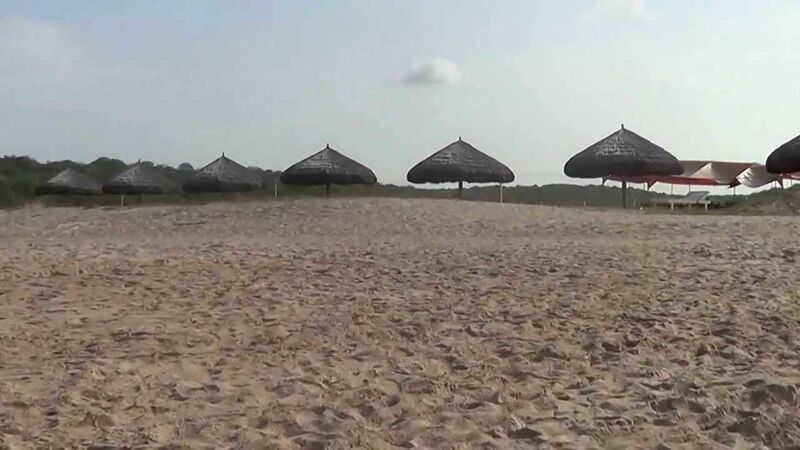 It is also visited by tourists who are looking for a more laid-back beach experience near a smaller village. You can see the fishermen coming back in the evening with their day’s catch, or practice your Spanish by talking to locals. 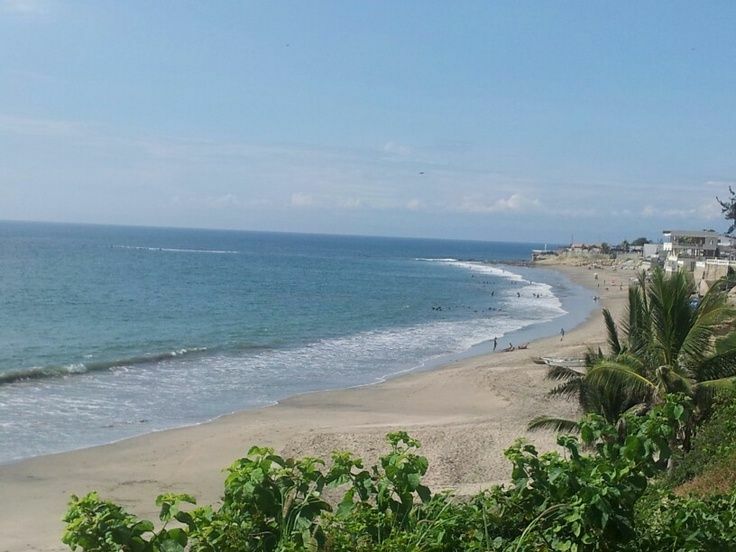 A recipe for tranquility, Ayampe does not boast the usual set of tourist trappings found in other Ecuador beaches, but rather marches to the beat of its own drum. 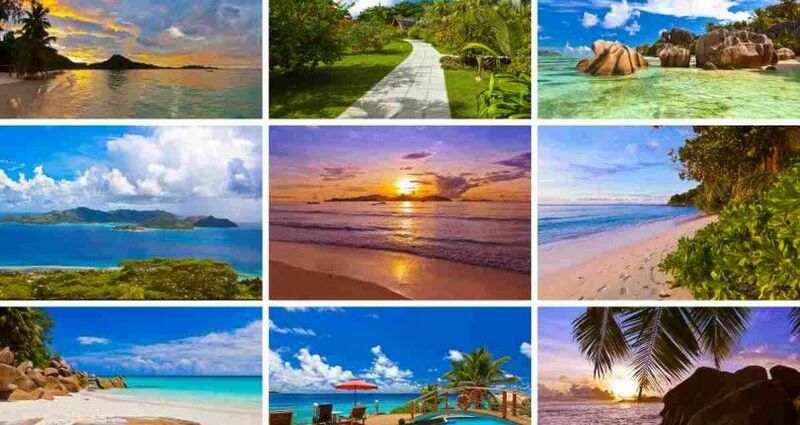 The only downside to this little slice of paradise is that its uniqueness comes with a price tag. Things are slightly more expensive here. Tourists can explore several forest trails and watch for monkeys, and surfers can count on the regular beach break. Surfing, drinks, dance clubs. 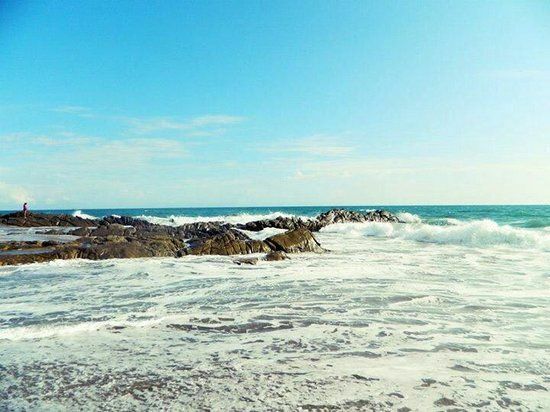 This is what your Ecuador beach dreams are made of! 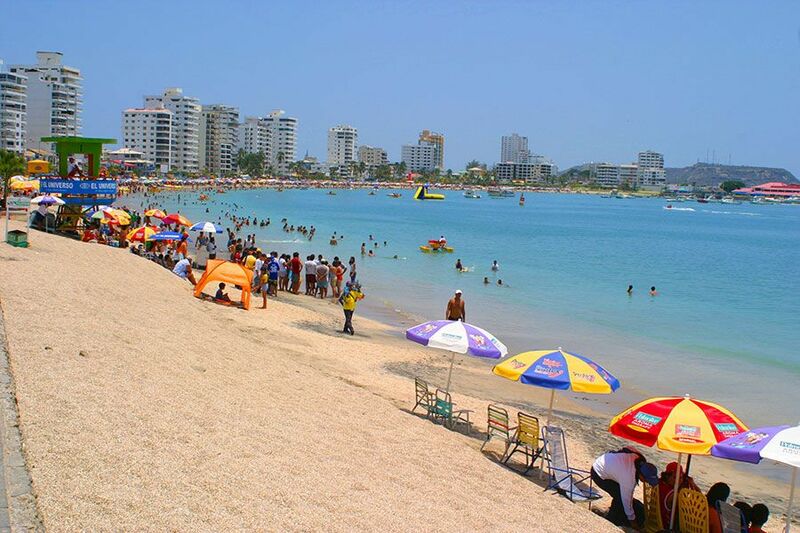 Atacames is the perfect place to kick back and have a good time. There are even bartenders along the beach, adding to the festive vibe of the place. An abundance of local seafood means there is never a lack of fish to eat with your rice. Despite being a small town, Atacames lures tourists in again and again with its devil-may-care attitude. 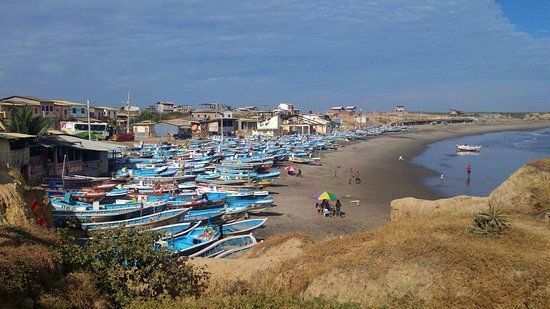 Mompiche is a picturesque fishing village untarnished by tacky tourist traps. 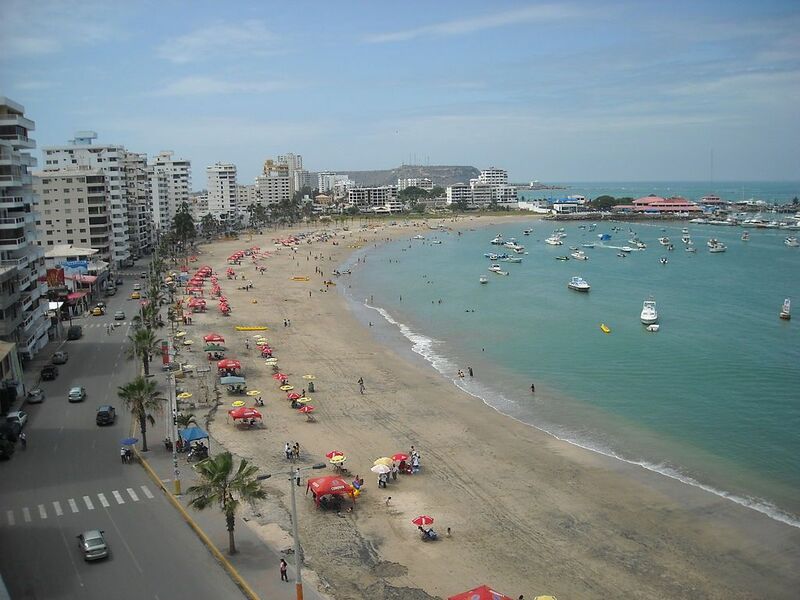 And what’s more, this spot is one of the most affordable amongst all top Ecuador beaches. The perfect spot to indulge in a slow holiday-pace read, have a beer, hang out, take in the view. And while there isn’t a surplus of restaurants, you’ll find the local fare to be tasty and affordable. 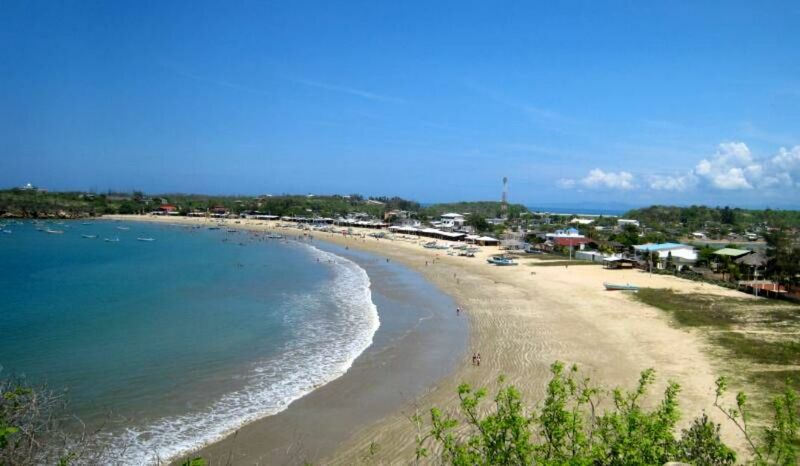 Located on the Santa Cruz Island, Tortuga beach is definitely worth a visit. To go, you must sign in with Galapagos Park Service. You are then able to walk along the designated trail. You can’t swim at the main beach because it is a home for protected wildlife, but there are many swimming holes nearby. 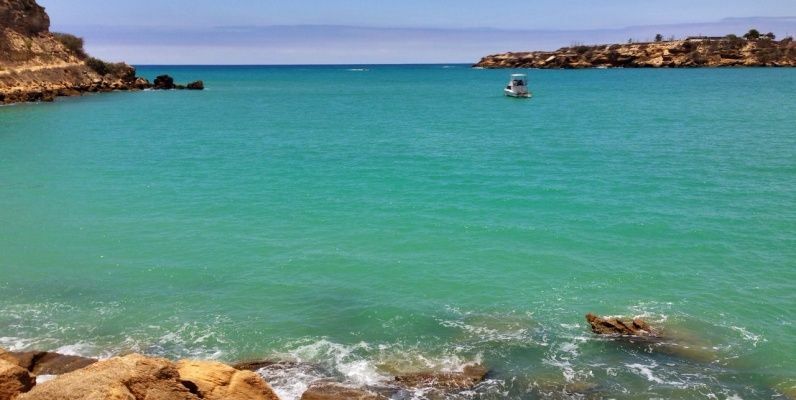 This is a great place to spot white tip reef sharks and tiger sharks. 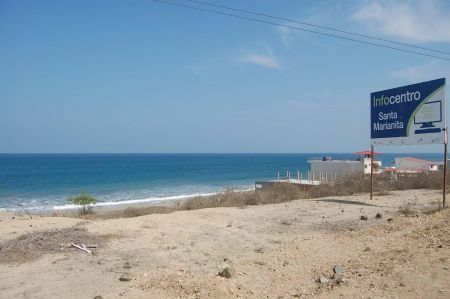 La Playita, meaning “Little Beach”, is also on Santa Cruz Island. 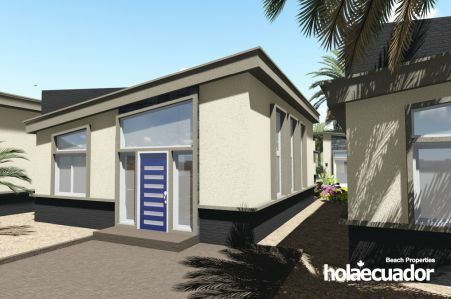 Here you can go swimming, surfing, or just enjoy the atmosphere of peace and quiet with the whole family. One of the main attractions is that this beach is a habitat for iguanas, and you can literally sunbathe alongside them. 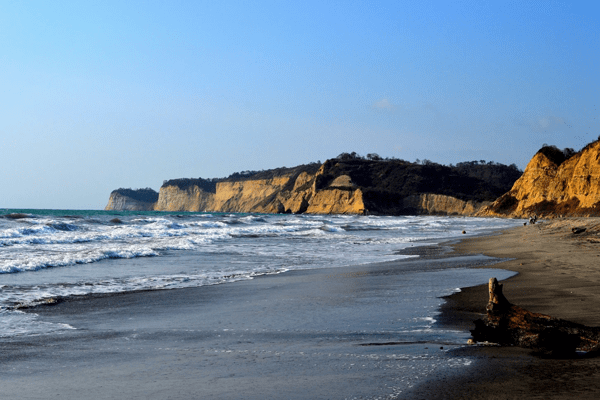 Playa Escondida means “hidden beach.” This magical spot is located in 100 acres of protected rainforest. 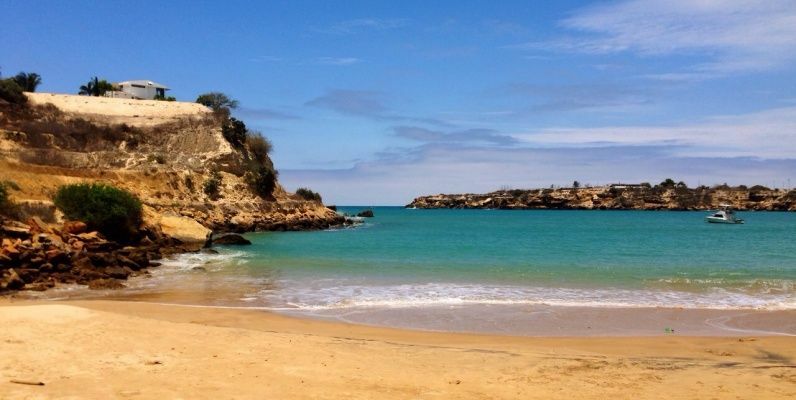 Although it is not your typical postcard, white sand beach, nature lovers will be charmed by the nature trails, the many caves, and the swimmer-friendly water. Looking for peace and stillness? You’re in luck. 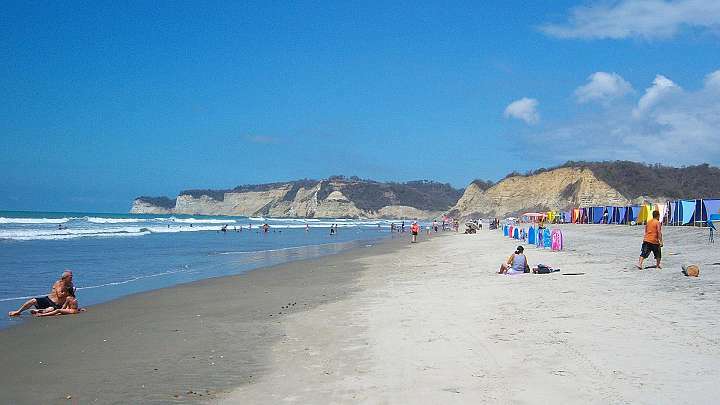 The uncrowded Canoa beach stretches for kilometers. So if you’re looking less for a cocktail-vendor-always-at-hand vibe and more of a serene, natural vibe, this could be the perfect place for you. While Olón is just five minutes away from Montañita beach, these sister spots could not be more different. 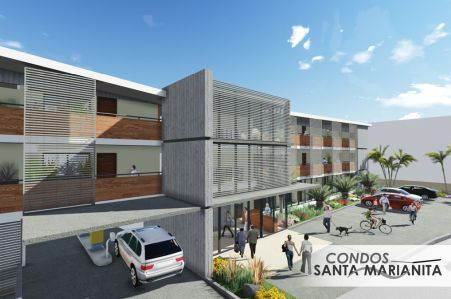 Think of Montañita as the extrovert, and Olón as the introvert. 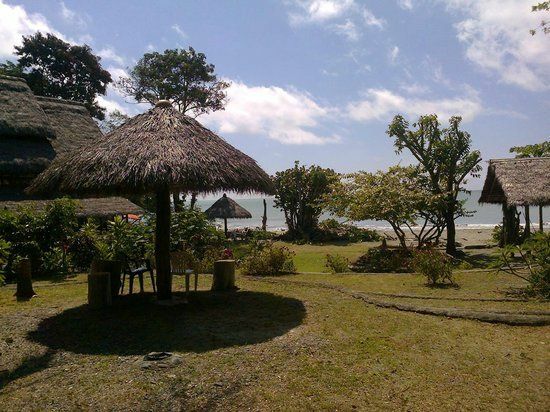 This beach town offers pleasant beach houses for renting where you’ll enjoy tranquility and the beauty of nature. 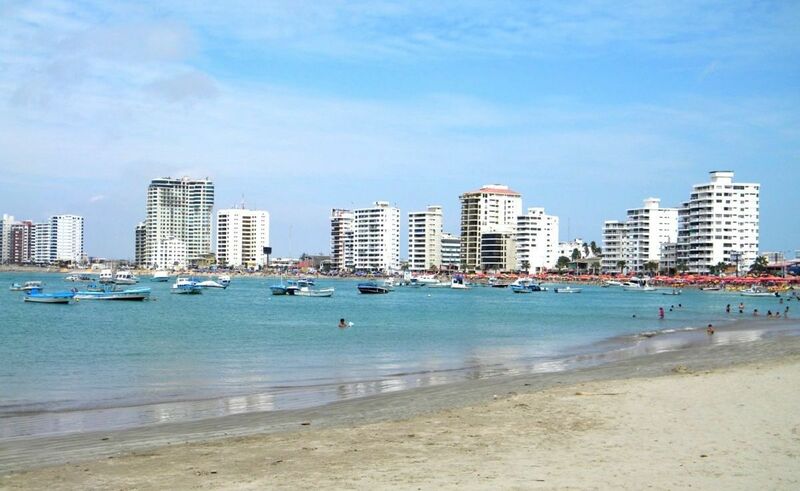 Are you looking for the best place to live in Ecuador? 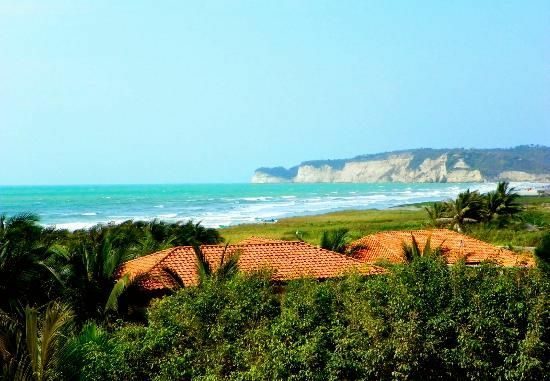 Check out our beautiful and affordable beachfront properties in Ecuador, whether you are looking for a cozy condo or a bigger home, you’ll never have to leave the beach again! !